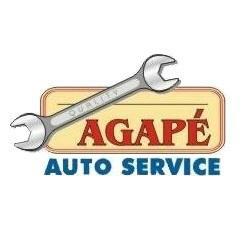 We drive our vehicles every day whether it is to the grocery store, to work, or on a long distance trip. When we travel we often forget to be prepared for accidents and incidents that could potentially occur. We have compiled a list of recommended items to have in your car at all times. This kit will give you the tools you need to be safe than sorry. 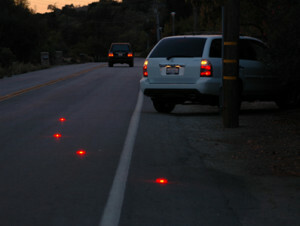 Roadside flares: this is to signal to traffic that you are on the side of the road and may need assistance. Also include in your kit triangle reflectors. First-Aid Kit: this should be checked frequently and restocked if necessary. Gloves: work gloves or latex gloves. Oil: We recommend having 2 quarts of oil with you at all times. 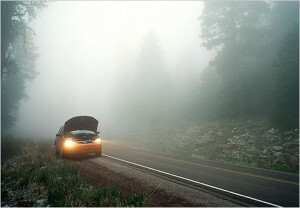 Jumper cables: This will require assistance from another vehicle but is used to jump start your car battery. Tool box: your tool box should include a Phillips head screwdriver, flat head screwdriver, vise grips, adjustable wrench, pliers, tire inflation device, tire pressure gauge, pocket knife, funnel, duct tape, paper towels, and rags. 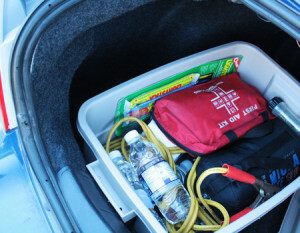 Food and water: Keep ample food and water in your car in case you get stranded for long periods of time. Spare tire: inspected for good tread and inflated with proper air pressure.